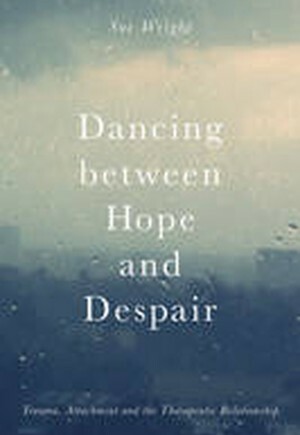 Why is hope so fundamental to our existence?In considering this and many other questions, this evocative book introduces the reader to the repeated shifting, or 'dance', between hope and despair that is so often encountered by practitioners working with profoundly traumatised individuals. Drawing on a broad range of theoretical perspectives and illustrated by a wealth of case studies and first-hand experiences, the book brings a sharp focus to the ways in which therapeutic relationships can draw individuals out of the constant oscillation between light and dark. It provides an insightful and thoughtful discussion not just about despair itself, but about how to be with despair: about how practitioners can help clients turn towards the experiences of emotional pain, and stand with them in the face of it. Topics covered include: * The concept of hope, and the differences between realistic and illusory hope* How trauma and attachment failure at different life stages can contribute to the loss of hope* The benefits of taking a highly relational approach to hopelessness, with an emphasis on integrating mind, body and emotions. Informed by the author's own years of experience in the field of psychotherapy, this engaging and stimulating book provides practical guidance on how students, trainees and practitioners can inspire fresh hope in deeply troubled clients. 1. Introducing the Dance.- 2. Desperately Seeking the 'Happy Ever After': Some Theoretical Perspectives on Hope.- 3. Hoping, Imagining and Dreaming: An Evolutionary Perspective.- 4. Our Need for Hope and its Roots in Childhood.- 5. The Impact of Trauma as a Hope Destroyer Across the Life-cycle.- 6. When Hoping Keeps People Alive: Non Mentalised States and the Need for Illusions.- 7. The Internal Dance of Hope and Despair: Dissociation and Shifting Self States.- 8. Systemic Perspectives: Our Responses to Getting Stuck in Cycles of Hope and Despair.- 9. Working with Hopelessness from a Relational Perspective.- 10. Finding New Perspectives.- 11. Moving into Hope: New Meanings and New Experiences.